Established in 1998, Heydens Steel is an independent steel supplier and metal fabricator. Heydens Steel, located in Koo Wee Rup, supplies quality steel products to Gippsland and the Bass Coast, including Pakenham, Warragul, Phillip Island and Cranbourne. 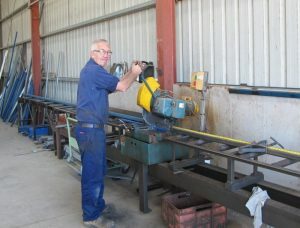 We are pleased to service the requirements of our broad customer base which includes the trucking industry, agriculture industry, farmer, builder or handyman with any steel requirements they may need. 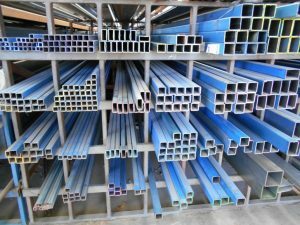 Heydens Steel keeps in stock a large range of steel. 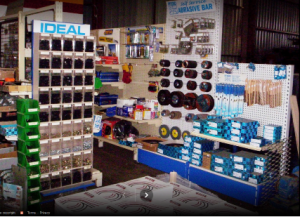 We are agents for Air Liquide and we stock various consumables, paint and fittings in our store. Also available are purlins, top hat and other building products. 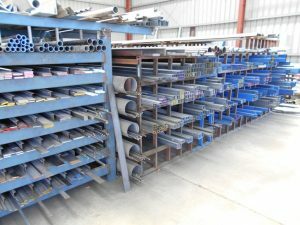 Heydens Steel keep in stock a large range of steel including: Flat Bar, Angle, RHS, Pipe, Solid Bar, Sheet, Plate, Floorplate and Channel. We can cut, guillotine or fold it. In addition to Steel Sales, Heydens Steel has a Custom Fabrication division. We manufacture or repair items to your specifications or requirements. Contact Heydens Steel For All Your Steel Sales & Custom Metal Fabrication Requirements. If we haven’t got it we’ll try and get it. View our product range in our online guide or contact us with your enquiry. With over 20 years’ experience, Heydens Steel provides a solution for all your steel and fabrication needs, no matter what industry you’re in. Steel supplies and custom fabrication in the Gippsland and Bass Coast regions, including Warragul, Pakenham, Phillip Island and Cranbourne.